Sacred Fools believes that theatre is a community-engaging and collaborative art form. We are committed to engage diverse artists and audiences that reflect the demographics of our city and our society. We have a duty to tell stories that both remind us of and celebrate our common humanity and also challenge us to dive deep into our differences as we strive to reach a better understanding of each other. ARTISTS: As a company with open casting, we will actively seek out community-representative casting opportunities. Directors and producers will choose casts and staff with the intention of authentically representing the diversity of our society, promoting equal opportunity and inclusion, especially to those who have been historically underrepresented. As a membership company, we aim to be a supportive and inclusive community where artists of all backgrounds can find a safe place to tell stories that challenge preconceived notions and engage in progressive dialogue both with our audiences and with each other. An elected group of regularly changing artistic directors allows us to have a diverse and ever-changing artistic leadership that is responsive to our membership. BOARD: Sacred Fools is committed to building a board that more equitably reflects the diversity of our community. We will actively work to identify one new candidate each season who identifies with under-represented groups in our company in order to bring in new voices and new perspectives on the growth and direction of our company. AUDIENCES: Sacred Fools is committed to creating a wide variety of theatrical events that are accessible to all: all ages, all backgrounds, all economic levels. We will continue to promote access for audience members of limited means by pledging to keep our ticket prices low or free. Our Community Outreach Committee works with our Marketing Committee to identify and reach out to populations that historically have not attended live theatre or are unaware of our low ticket price pledge. Our education programs are always open to any child who would like to attend, regardless of income, experience, or background. Fully half of our camp students from the past 10 years have had subsidized or free tuition, and our school day and after-school offerings are free to all students. The Equity-Diversity-Inclusion Committee's mission is to create an artistic environment at Sacred Fools where our community's diverse ethnicities and cultures, backgrounds and identities, struggles and strengths are respected, represented, honored, and celebrated. We do so through targeted social outreach and the active inclusion and development of all underrepresented voices and viewpoints including ethnic and cultural minorities, LGBTQIA+ individuals, people with disabilities, and women. The EDI Committee began as an initiative brought forth by company members in the fall of 2016. 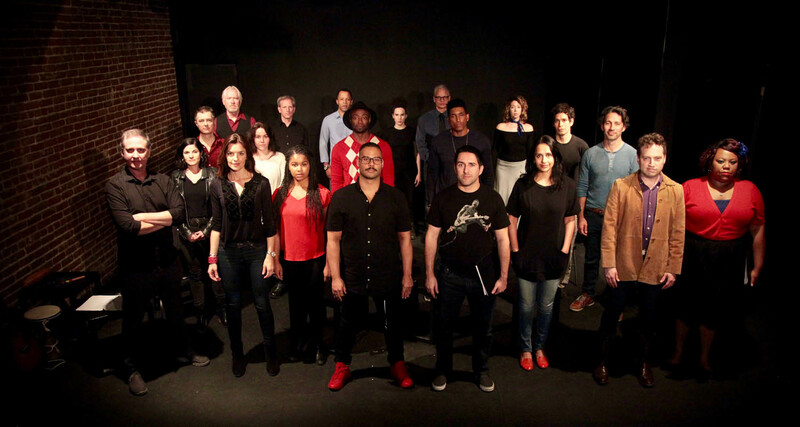 This dedicated group of volunteers executes concrete and creative strategy and action to not only diversify the company’s membership, but to also actively transform the organization’s programming and accessibility to reach the greater community’s artistic sensibilities and needs for inclusion and artistic representation. To find out more about these initiatives, contact our Managing Director, Padraic Duffy, at or our EDI Committee co-chairs, Kimberly Atkinson and Amir Levi, at . 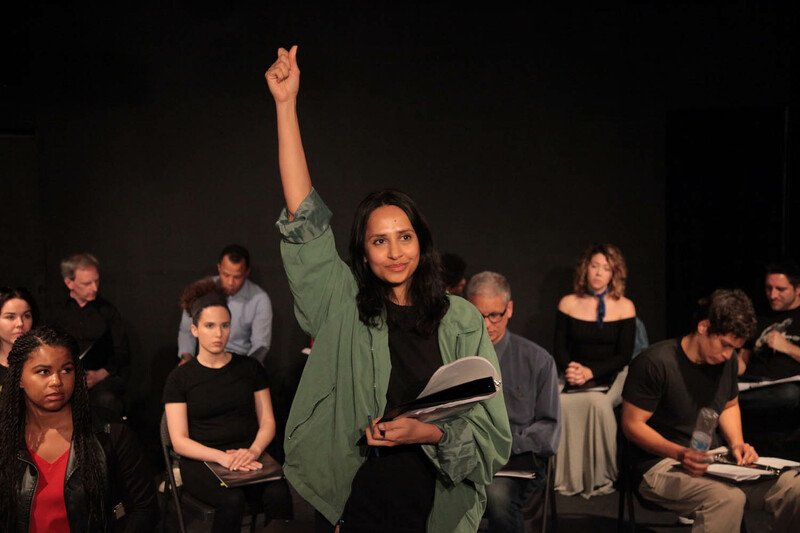 To find out about our free monthly reading series, We the People, click on the title, or contact the producers at .